Imagine waking up each day to a new, ever-changing, breathtaking scene just outside your window. One day, it’s crenellated castles surrounded by lush countryside. The next, it’s church spires that reach to the sky in a flourishing renaissance city. 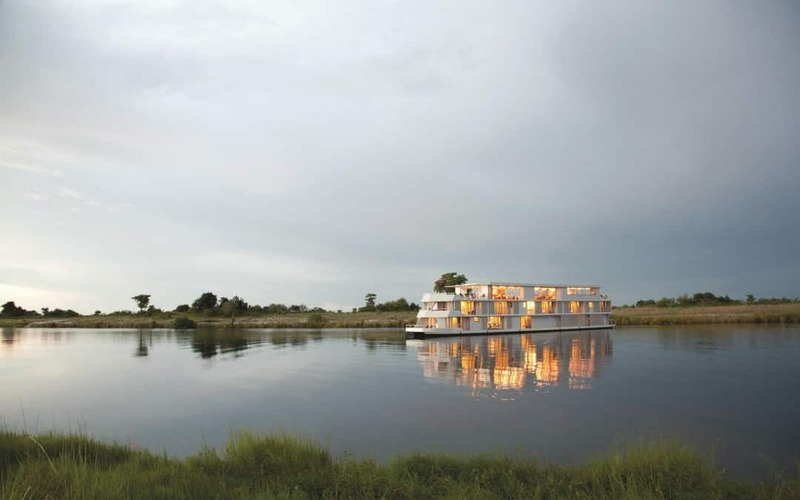 With luxury river cruises, this kind of vacation is possible! There’s just nothing like the sheer opulence and refined adventure you experience on a luxury cruise. Explore our picks for the best luxury cruise lines and cruising destinations below. Explore Europe, Asia, or Africa in style on an AmaWaterways river cruise. This is a great river cruise option if you want to experience a river cruise with wee ones, since some of Ama’s ships have family-friendly cabins. As an all-inclusive high-end river cruise line, AmaWaterways offers free wine and beer with meals, shore excursions, and bicycles for every passenger. A top option for those interested in luxury cruises down the world’s great rivers, Uniworld Cruise is a boutique line offering a personal touch. Explore Europe, Russia, Egypt, or China with Uniworld Boutique River Cruise Collection for a relaxing, ultra refined way to see awe-inspiring sights. Many of Uniworld’s luxury ships only have room for 150 passengers or fewer, making for a truly intimate experience on board. A leader in experiential luxury travel, Kerr and Downey provides transformational luxury cruise experiences for discerning clients. Sail down the most legendary rivers in the world — like the Nile, Yangtze, and Amazon — on small ships with high-end amenities. Discover parts of the world you’d never thought you’d lay eyes on, while every care is catered to on a hands-on Kerr and Downey luxury cruise. Tauck’s river cruises through Europe were designed with intrepid explorers yearning to expand their horizons in mind. You can embark on a cruise that specifically fits your interests with Tauck’s themed luxury cruises focused on food, music, or the Christmas Markets of Europe. Tauck’s river cruise dining provides a lot of choice while focusing on regional cuisine, making every on-board meal a moment to truly savor. Viking Cruises may be the best-known name in the high-end river cruise market — with good reason. This upscale-yet-affordable river cruise line represents a relaxing way to explore some of the most beautiful countryside and bustling cultural capitals in the world. River cruising necessitates smaller ships, so a Viking cruise is perfect for those in search of a more intimate way to sail on expansive, worldwide itineraries. There may be no better way to explore Europe than by luxury river cruise. Legendary rivers like the Seine, Rhine, and Danube snake past cultural capitals and captivating countryside. Wine lovers will especially love luxury European river cruises, since many top cruise lines sail through Europe’s best wine regions. 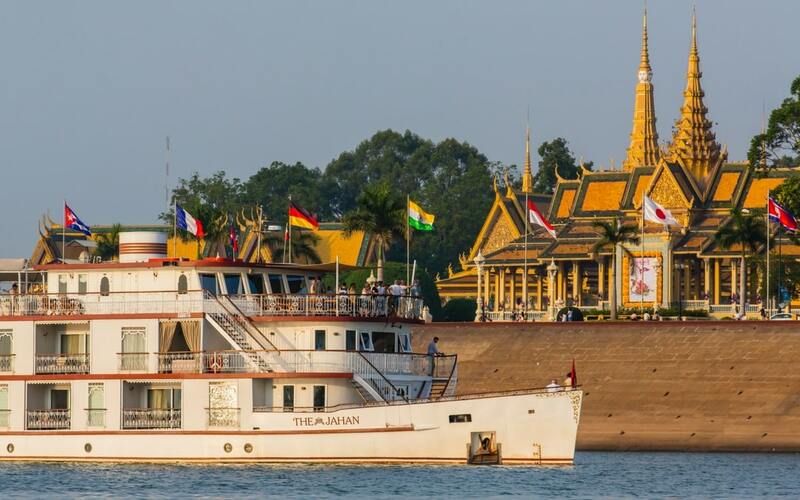 See a whole other side of Asia on a luxury river cruise that melds the continent’s storied past with a dynamic present. Cruisers will never forget the colossal gorges that span China’s Yangtze River, the bustling riverside markets in East Asia, and the warm and welcoming people met along the way. Set sail on the mythical Ganges to see the wonders of colorful India for yourself. India’s greatest treasures — the Taj Mahal, Jaipur’s Pink City, and beguiling Kolkata, to name a few — are yours to explore on a luxury river cruise through this spellbinding country. From the mighty Mississippi to the majestic Columbia, luxury river cruises in the U.S.A. take you up close to the most impressive sights across the country. Paddle-powered riverboats cruise the Mississippi, passing historical sites of the Antebellum South and vibrant riverside cities. In the Pacific Northwest, elegant river cruise ships sail past breathtaking natural wonders. Our dedicated team of travel advisors is there for you during every step of your journey. Imagine: actually having an expert to talk to who will happily answer all of your travel questions! When you work with Southern Travel Agency, you have a travel advocate in your corner who’s there for you every step of the way. We pride ourselves on our clear communication with clients, while we take care of every part of the booking process for them. It’s travel made easy — finally! If you’re yearning for a luxury river cruise vacation — without the overwhelm that comes with planning it all by yourself — get in touch. With 30 years of experience in the travel industry, our team knows the best luxury river cruises inside and out. We’ll work hard to match you with the perfect cruise that speaks to your travel style, needs, and budget.